Theresa May has tumbled to defeat yet again, despite the EU setting out the consequences of that choice in the clearest possible manner. The door to an orderly exit by May 22 following the passage of the Withdrawal Agreement is now officially closed. 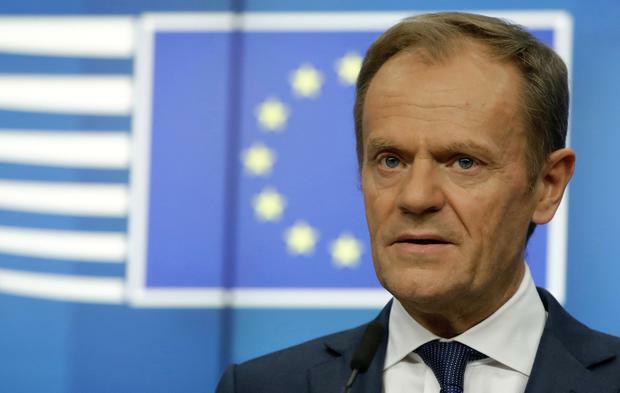 Given the scale of the defeat, we are therefore on to the next stage, which was announced by Donald Tusk, the European Council president, who will convene an emergency meeting of EU leaders on April 10 to ascertain the next steps. That is two days before the April 12 deadline – but in practice, say senior EU diplomatic sources, the real deadline for British decisions is Monday, April 8, to give time to circulate paperwork around EU capitals and ambassadors. Time is tight. There has been an audible disconnect in recent weeks between Brussels and London over the likelihood of no deal – with Brussels repeating that it is the most likely outcome, but Westminster feeling much more sanguine given the size of majority opposing it in the House. But next week, we will see how able and willing the UK parliament is to take the necessary steps to avoid a hard exit on April 12, by requesting a long Article 50 extension period. That starts with agreeing to hold EU elections on May 23, but that in and of itself will not be sufficient. As the European Council conclusions from earlier this month stated, the UK must also “indicate a way forward”. In other words, there needs to be a plan. EU sources have hinted that the threshold for that plan is reasonably low, but that does not mean it is non-existent. There are hardline voices in the European Council, led by the powerful figure of the French president, Emmanuel Macron, who are deeply uncertain of the wisdom of a long extension. The indicative votes in the UK parliament this week did not create a clear majority for any other option, and given the infighting between the soft Brexit factions, there is absolutely no guarantee of clarity emerging next week. Or if it did, whether Mrs May or a caretaker Tory prime minister could back a deal which is essentially a Labour Brexit with minority Tory backing – a red Brexit, with a dash of blue. Not the other way round. If paralysis continues, there is then the prospect – even presuming the UK parliament has accepted the need to hold EU elections – that the prime minister arrives in Brussels a week on Wednesday with nothing. The only clear “plan” is for the Tories to use a longer transition period in order to have a leadership contest – and probably elect a harder-line Brexiteer prime minister who would likely need to have a general election. In short, months more chaos and uncertainty. That remains a deeply unattractive proposition to many in the EU, and for businesses that have made no-deal plans and closed early for holidays, for example. At the same time, the prospect of an EU member state in political freefall that is also in the process of looking to exit the EU raises fears of “infection” in the EU political processes at a time when the EU is looking to reform itself. As European Parliamentary elections loom there will also be influential voices, including perhaps Mr Macron, wondering if a clear display of the costs of populism might not hurt their chances at the polls. This is a scenario in which even powerful allies of the UK, like Angela Merkel, may not be able to hold the line against those arguing the prudent course for Europe is to cut the cord. The European Council is not a rubber-stamp. Despite its hefty majority against a no deal, parliament needs to understand it is much closer to the no-deal cliff-edge than it realises.